How long does it take to Phi Phi is a common question and it depends on where you are coming from. This article settles the questions whether you are wanting to know if you are coming from Europe, the far East or the Americas, from the beaches in Phuket or Krabi or just want to know how long the ferries take. Wherever you are starting your journey, the basic geography of the the south of Thailand and the islands explains why it can take time. Phi Phi Island is 48 km from Phuket and 45 km from Krabi Town so the last item of your journey is a sea crossing which is a minimum 45 minutes by speedboat or a one hour 30 minute ferry or cruise by larger tradition transfer. The ferry terminal in Phuket is Rasada Pier which is close to Phuket town on the south east coast. 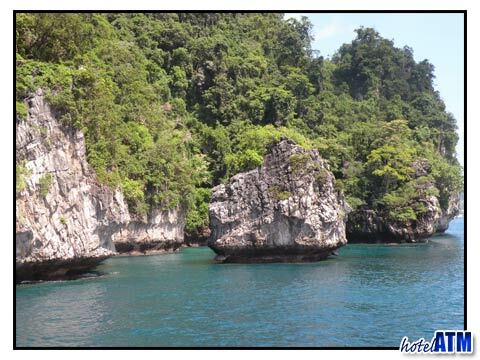 Krabi ferries start at Krabi Town, the beaches of Ao Nang and Railay and from Saladan Pier on the north of Koh Lanta. Ferry information and booking. If you want to know how long it takes to Phi Phi from Asia USA, Europe you will first arrive at the Thailand's main airport, Suvarnabhumi Airport. Direct flight times to Bangkok are Europe 10-12 hours, USA west or east coast 17 hours, Japan 7 hours, Hong Kong 2.5 hours and Shanghai 7 Hours. The flight from Bangkok to Phuket or Krabi is 1 hour 15 minutes though Phuket is served with 2-3 times more planes a day (13 flights in high season (November till mid-April). There are direct flights from Singapore to Phuket or Krabi airports (1 hour 10 minutes) and from Hong Kong to Phuket at 3 hours. 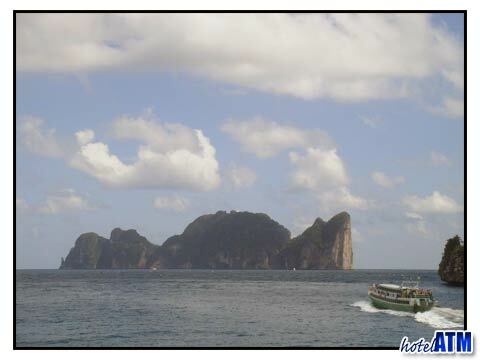 How long does it take to Phi Phi from Patong the largest tourist destination on Phuket. The mini bus transfers that get you to the Phi Phi ferries take between 35 and 45 minutes and take you over the Patong Highlands pass a beautiful view point that gives you views out on to the Phang Nga Bay one side and the Indian Ocean on the other. The Krabi Beaches are easier as the ferry goes from Ao Nang or Railey beach themselves. If you are staying at Klong Muang Beach it will take 20 minutes to get to the Ao Nang Ferry. All Koh Lanta beaches require a minibus transfer to Saladan and it takes up to 20 minutes from the furthest beaches in the far south of the island to get to the pier. How long does it take to Phi Phi from the full moon party. This is one of the most complex but popular routes for those who love to party on ideal beach settings. The long and short of the ferry, transfer, ferry, transfer, ferry island-hop is that it takes 7 hours overland. If you take the ferry from Koh Phangan to Samui and then take the flight over to Phuket it still eats up the day and takes 6 hours so there is not alot of difference.